We are particularly fond of this week's Reading on a Theme. We love mythology, and it's so much fun when an author melds the mythology of the ancients with the modern world. Kyra Locke can hardly remember what life was like before the gods awoke and the Trickster Council was established, but the gods never played an active role in her life until today. 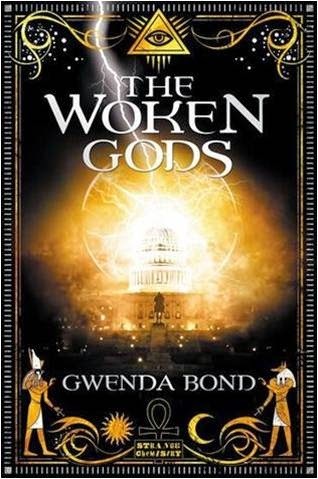 There are seven different pantheons of gods featured in The Woken Gods, which makes it unique from the other mythologies in the modern world featured in this post. I enjoyed learning about some of the more obscure pantheons that I know very little about. While I found the writing to be a bit awkward in some places, Gwenda Bond created a vivid world with complex characters, and I hope she writes more books in this world. Review copy from NetGalley. Gretchen is a huntress, a descendant of Medusa whose job it is to kill the monsters that come into the mortal world. The rules, however, are changing and all the changes seem to coincide with the arrival of Grace, a girl who looks just like Gretchen, in San Francisco. I loved Tera Lynn Childs' revamped mythology of Medusa and her sisters and the work they left their descendants. 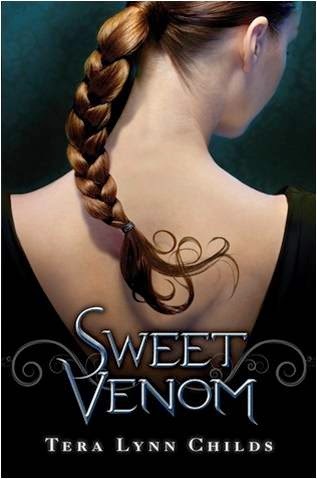 Sweet Venom is chalked full of characters, information, and mysteries, but it moved a little slow for me. I felt like the whole book was exposition. I am looking forward to having the mysteries solved in the next installment. 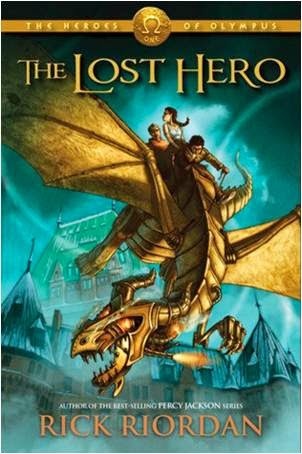 In The Lost Hero, Rick Riordan brings back the world we came to love in the Percy Jackson Series. In The Lost Hero we meet Jason, Piper, and Leo. I liked them all, especially Leo, who was the funny-man but also smart and super essential to the success of the quest. I liked how the book rotates between the three characters and yet stays in the third person. And Colorado Springs, my hometown, makes an appearance. Finally, I'm so pleased that Rick Riordan points out the difference between the Greek and Roman gods. New names and new personalities. I don't think I had a teacher who explained that until my classic mythology professor in college. That's why it's nice to read a book written by an (former) educator. Tessa Gratton's newest book in The United States of Asgard series follows Signy Valborn, who was chosen by Odin the Alfather himself to be a Valkyrie when she was a child. Now grown, she must solve a riddle before she can take her place on the Valkyrie counsel. Signy is a passionate character. She embraces Odin's madness and has a violent streak to her. She is ambitious and eager to bring back the old ways. The writing itself is beautiful, and I love how Tessa Gratton combines the poetry and myth of old with a modern society. In this book, the tale of Beowulf and those of the ancient Valkyrie are mirrored in the modern setting. It's a really lovely construction. I'll definitely continue reading this series. Review copy from NetGalley. 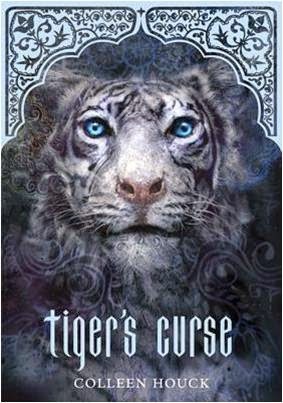 Tiger's Curse is the first book in Collen's Houck's The Tiger Saga. While working at a circus in Oregon, Kelsey Hayes grows attached to a white tiger, and she goes with him when he is shipped back to India. There she learns the tiger is not a beast but a cursed 300-year-old prince. The prince, Ren, and his faithful man-at-arms believe Kelsey is the key to breaking the curse. Thus begins a journey through the jungles of India. Kelsey and Ren come face-to-face with Hindu gods and travel through Indiana Jones-like temples. Along the way, they fall in love, but Kelsey's immaturity concerning the relationship put a serious damper on what should have been a swashbuckling adventure. The Woken Gods and Sweet Venom reviewed by Paige. 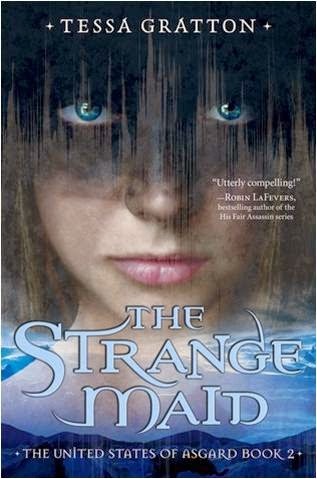 The Lost Hero, The Strange Maid, and Tiger's Curse reviewed by JoLee.